Barrick Gold Corp, which has agreed to a $6.1 billion deal to acquire Randgold Resources Ltd, reported a drop in third-quarter adjusted profit and revenue on Wednesday, hit by lower prices for gold and copper alongside higher fuel costs. As it readies for a November shareholder vote on its no-premium, all-stock transaction with African miner Randgold, Barrick made some modest changes to forecasts. Barrick said it has eliminated 235 jobs outside of mine operations year-to-date and lowered its forecast for full-year administrative costs to $235 million from $275 million, including $36 million in severance costs. The Toronto-based company, which had some 780 jobs outside of mines at the end of 2017, sees annual savings from its decentralization push of about $100 million. Barrick said 2018 gold production is now seen in the low end of a range between 4.5 million and 5 million ounces, with all-in sustaining costs still estimated at $765-$815 per ounce. Fourth-quarter output is expected at approximately 1.25 million ounces. For the quarter ended Sept 30, Barrick said adjusted earnings were $89 million, or 8 cents a share improving the 5 cent per share profit that analysts, on average, had expected. Copper output for 2018 is reaffirmed at 345 million to 410 million pounds, at all-in production costs of $2.55 to $2.85 per pound. Any further debt reduction from its current total of $5.7 billion will depend on cash flows and be considered against alternate uses of cash, Barrick said. Previously, the company set a debt target of $5 billion by year-end, down from a peak of $15.8 billion in 2013, after costly acquisitions and projects. Barrick said that talks continue with the government of Tanzania to resolve a tax row affecting its Acacia Mining unit. 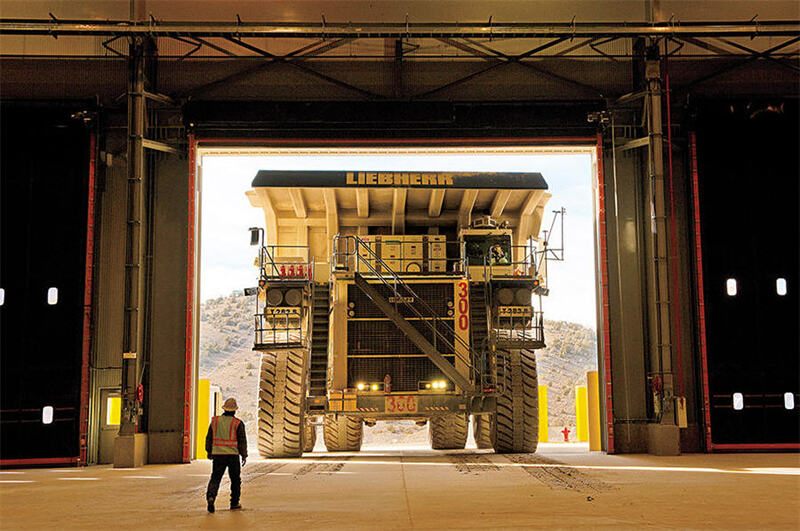 Barrick, which holds a 63.9 percent stake in the miner, said Acacia's operating environment has been increasingly challenging in recent weeks. A third Acacia employee was charged with corruption and money-laundering on Tuesday. On a net basis, Barrick lost $412 million, or 35 cents a share, reflecting a $405 million impairment charge for a processing project at its Lagunas Norte mine in Peru that it will not advance. Revenue of $1.8 billion fell from $1.99 billion in the same period last year.